Anthony Beauvillier, Anders Lee, Casey Cizikas, Valtteri Filppula, Nick Leddy and Brock Nelson scored for the Islanders, who moved back into sole possession of first place in the Metropolitan Division. New York is two points ahead of the Washington Capitals, who visit the Coliseum on Friday night. 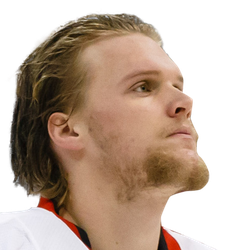 New York goalie Robin Lehner recorded 34 saves. Tavares, who spent the first nine seasons of his career with the Islanders before signing as a free agent with his hometown Maple Leafs in July, was held off the scoresheet, though he was on the ice for Hyman's goal as well as a second goal by Hyman that was waved off due to offside. The quiet night for Tavares no doubt satisfied a sellout crowd of 13,917, which booed the 28-year-old from the moment he took the ice for warmups -- one fan threw a jersey at him -- and every time he stepped on the ice during the game. The fans even booed and chanted throughout a first period video tribute to Tavares, lessening only slightly when footage of him aired of him in the Long Island community. The chants -- the cleanest of which was "WE DON'T NEED YOU" -- rained down all evening and remained as loud as ever even as the Islanders piled on by scoring three times in a stretch of less than 10 minutes spanning the second and third periods. Hyman opened the scoring for the Maple Leafs with 6:27 left in the first, but Beauvillier tied the game following a nifty exchange with Mathew Barzal, who is expected to replace Tavares as the Islanders' franchise player, with 3:44 remaining in the period. Lee, who succeeded Tavares as captain, put the Islanders ahead for good 4:49 into the second. 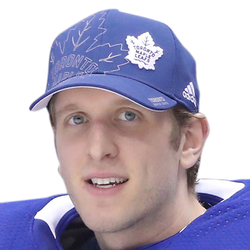 Hyman's goal was waved off at the 12:52 mark, which seemed to deflate the Leafs and energize New York. Cizikas scored an unassisted goal following a Toronto turnover with 6:20 left in the middle period, and Filppula extended the lead to 4-1 with exactly a minute remaining in the second. Cizikas appeared to redirect a Nick Leddy shot for a goal 33 seconds into the third, but the tally later was credited to Leddy. Nelson closed out the rout at the 8:41 mark.